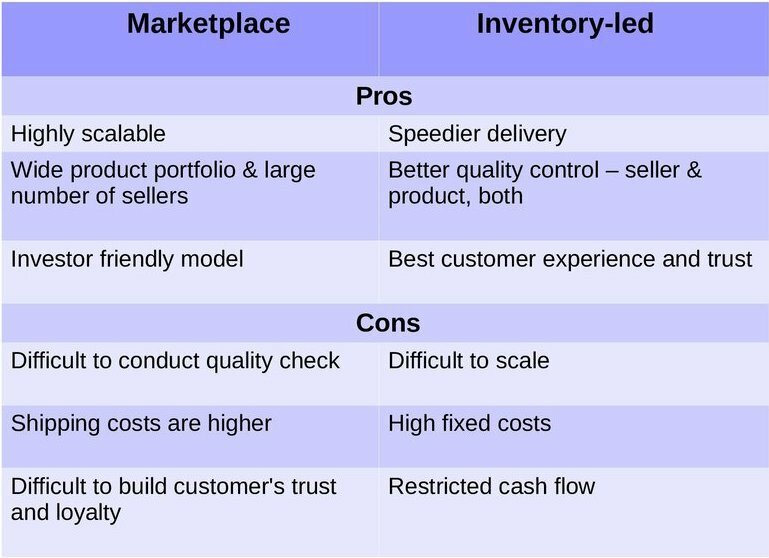 Home » Featured • Insights • Research » Marketplace or Inventory-Led, which ecommerce model works best? Marketplace or Inventory-Led, which ecommerce model works best? Indian ecommerce industry is close to completing a decade. And it has gone through various changes. eBay was the first entrant. Then homegrown player Flipkart entered and transformed from inventory-led to a marketplace model. Snapdeal transitioned from a daily deals website to an online marketplace. And later American ecommerce leader Amazon entered. Let’s take a look at three business models of Indian Etailers to see what works for Indian Online Sellers. A pure ecommerce marketplace follows a zero inventory model. eBay, Naaptol, and Shopclues are examples of ecommerce players that follow the marketplace model. The company acts as a meeting ground for buyers and sellers without storing goods. 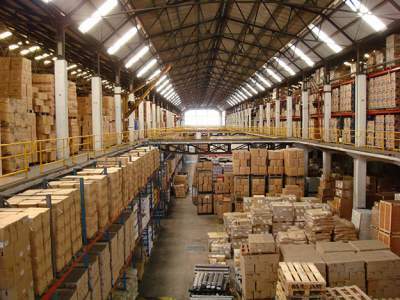 But they do offer shipping and payment assistance by tying up with selected logistics players and financial partners. It’s when a company sources directly from brands & sellers and stock it. There are no multiple sellers selling one product, unlike marketplaces where buyers get to choose from several merchants. The seller is the ecommerce company and invoice is issued to the customers on the company’s name. One such example is Jabong. It’s believed that Amazon’s entry in the Indian ecommerce industry forced the existing players to opt for a hybrid model. A mix of marketplace and inventory is a hybrid ecommerce model. It’s also called a ‘managed marketplace’ model. It is adopted by most Indian ecommerce players like Flipkart, Amazon, and Snapdeal. Under their marketplace fulfilment services like Snapdeal Plus (SD+), Fulfilment by Amazon (FBA), Flipkart Advantage and Fulfilment by Shopclues, ecommerce players offer inventory storage, packaging & delivering services. But a seller is free to choose self-fulfilment or marketplace-fulfilment. Under this model, ecommerce players also infuse inventory-led in a marketplace by having operational control over seller entities like Cloudtail (Amazon) & WS Retail (Flipkart) and also by starting their own labels. But then he added that unreasonable returns without checking the authenticity of the claims and additional charges add to seller’s woe. Do marketplaces insist that sellers use their fulfilment options? From the above sellers’ comments, it is quite clear that most of them prefer to handle order fulfilment by themselves instead of opting for marketplace fulfilment. The IOS article ‘Marketplace or Self-Fulfilment – Which one should you pick?’ opened up a debate with most siding self-fulfillment. Most of the sellers IOS spoke to shared that they ship their orders in less than 24 hours and use the services of best logistics players. Then why should they block their inventory and hand it over to someone who doesn’t necessarily do a good job at handling it with proper care. While many also agreed that a FBA, Advantage or S+ tag results in more sales. We asked sellers if marketplaces’ push their services. And is it beneficial? “As a seller they insist us to send product to their warehouse but they never push, and as products which are in their warehouse sell more due to more exposure, it automatically attracts seller to send product more and more to FBA or similar model,” stated Yogesh Khatri. IOS had touched upon how buyers opt for marketplace-fulfilled products unless it’s a niche product. Experts also feel that sellers can gain a lot from such services. But you are the best judge to zero down on the business model that works for you as a seller. List down the facts, i.e. – your product category, profit margin, order volume from a marketplace, all extra charges and your personal capacity. If it’s a low margin product, stick to self-fulfillment like seller Yogesh Khatri suggested. If you have the work force and resources to take care of order fulfillment, please go ahead and do so. The end goal should be shipping the right order to the right person at the right time. Whether it is marketplace self-fulfilled or inventory-led marketplace-fulfilled, that’s for you to decide. So online sellers, let us know what works for you. Am a online seller on eBay, now starting my own online shopping site. After reading this post got some good ideas how to choose the best ecommerce model for my online business, will definitely research deeply about the marketplaces & shipping. thanks for sharing !